For MUTCD compliance, upgrade to 3M High Intensity Prismatic (HIA) with an even brighter, longer optimum reflective performance! 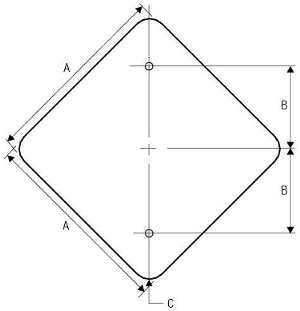 24" x 24" 24" 12" 1.5"
30" x 30" 30" 15" 1.875"
36" x 36" 36" 18" 2.25"
Option: 02 The LOW SHOULDER (W8-9) sign (see Figure 2C-6) may be used to warn of a shoulder condition where there is an elevation difference of less than 3 inches between the shoulder and the travel lane. Additional sizes & reflectivity level are available for this item. Please make your selection at bottom of page. 24" Public low volume roads, local streets & roadways, 35mph or less, (HIA) only. 36" Public single & multi-lane conventional roads, expressways, any speed, (HIA) only. See Table 2C-2 of the MUTCD for more info on size requirements. The 24" & 36" (HIA) versions of this sign have been specified to meet the U.S. 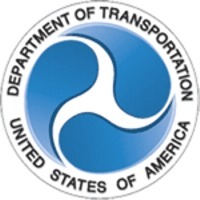 DOT Federal Highway Administration's MUTCD standards. This item normally ships within 2-3 business days!